Marianne began her insurance career in 1971 in Seattle and has worked at various insurance companies since then. She moved to the Tri Cities in 2006 and began working at Western States Insurance shortly thereafter. This was her first job on the agency side and she was very enlightened to see what the agents have to deal with on a daily basis. Marianne thinks all underwriters should have to spend some time working in an agency and vice versa. Marianne doesn’t have any children, but she does have a Shih Tzu that she considers her child. Her favorite pastime is shopping and hanging out with friends. PayneWest is beyond grateful for our committed colleagues and we are glad to have Marianne as a part of the PayneWest family. 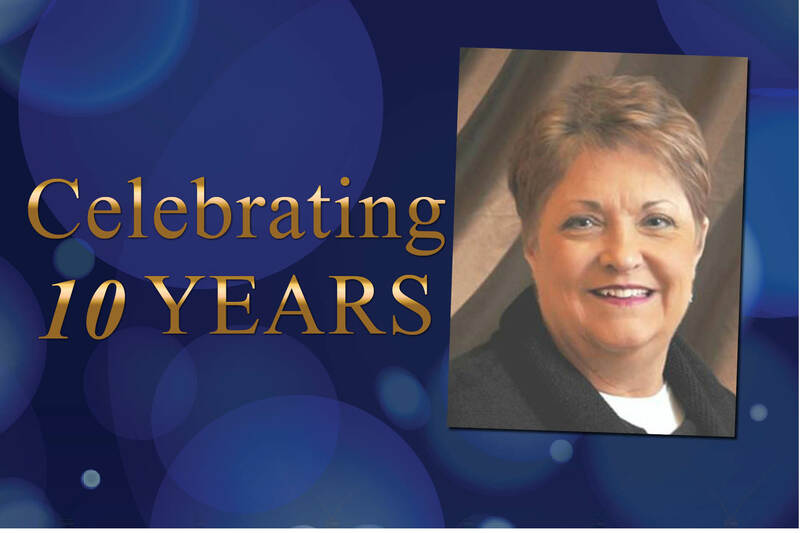 Congratulations, Marianne, on your 10-year anniversary; we look forward to many more. You can contact Marianne Hejlik at (509) 946-2652 or by email at MHejlik@PayneWest.com. Find all of us at PayneWest.com/Directory.